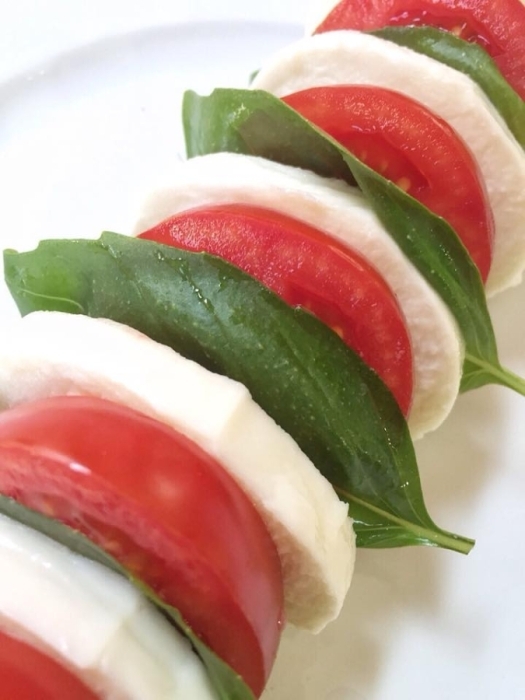 Leaner Tip: Substitute whole milk mozzarella with non-fat or fat free mozzarella to reduce recipe by ~40 calories per oz. Plate the cheese, tomato, and basil as shown in the picture. Drizzle 3 oz of extra virgin olive oil and 3 oz of balsamic vinaigrette on the plate for taste. Add a pinch of salt and black pepper for taste.